I’m sure you came across a Call-to-Action once or twice, and might have clicked on it without knowing what it actually was. Have you realized what that Call-to-Action is doing? A Call-to-Action is a gateway between someone who wants to learn more about a certain topic. Let’s break things down a little further. A HubSpot blog defines a Call-to-Action as an image or hyperlinked text that initiates action to be taken from someone in the buyer’s journey. It is basically a bridge for someone in the buyer’s journey to further educate themselves. A Call-to-Action is not any type of ad or spam on the side of a page. It is an intentional button made by the company for marketing purposes. The benefit of a Call-to-Action for a visitor is seeking more detailed information regarding something they want to learn about. They are able to look further into something without fee. The benefit for of a Call-to-Action for the company is, once they click the Call-to-Action the visitor will fill out information, thus making that visitor a lead. This also helps analyze what your visitors are interested in. You can build off of your buyer personas with these visitors as well as customize what they need for each step of the buyer’s journey. A Call-to-Action can be placed on a number of pages. Remember, they can simply be links too. A Call-to-Action can be on your company’s website, a blog post, email and a social media post. Place your Call-to-Action on anywhere it is relevant. On each page, a Call-to-Action should be in a specific spot. A Call-to-Action could either go in the side bar, footer or header of a page. If you are sending an email or displaying a Call-to-Action on your homepage, you should place the button above the fold in the header or side bar. If you are posting a blog, you should place the button at the footer because once someone reads the blog, the natural next step is clicking it and learning more. What is the Purpose of a Call-to-Action? Your company needs a way to reach out to more potential customers. You write blogs, you post on different social media platforms and you optimize your website. So take it a step further and offer more help. If someone clicks on a Call-to-Action on a page, that will connect them to a landing page. On a landing page someone who is interested fills out a little bit of information in exchange for a demo, video, eBook, checklist, report, whitepaper, case study or something else that is relevant to the page that person was just on. I can give you a great example and it’s right on this page. You are currently reading our blog from Fat Guy Media about a Call-to-Action. At the bottom of the blog is an actual Call-to-Action that you can click on. Note the appearance of it, what it says on the button and what you will be receiving once you click on it. Now, physically click on the button, fill out information and download the whitepaper. I think you can guess what this whitepaper is about, that’s right, calls-to-action. However, it is much more detailed than what you read in this blog. 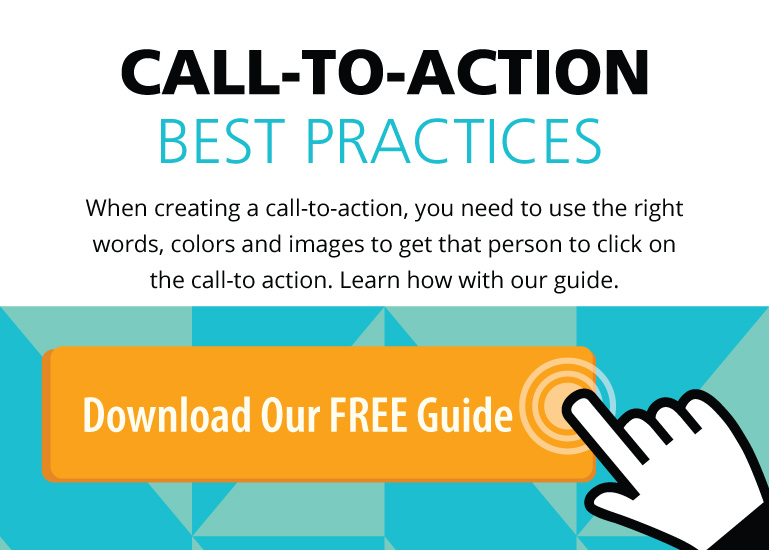 It’s a list of the best practices of a Call-to-Action. If you’d like to learn more about Calls-to-Action, click on the call-to-action below. Or contact us at Fat Guy Media. Call us at 1-516-535-5353. Or email us at sales@fatguymedia.com.